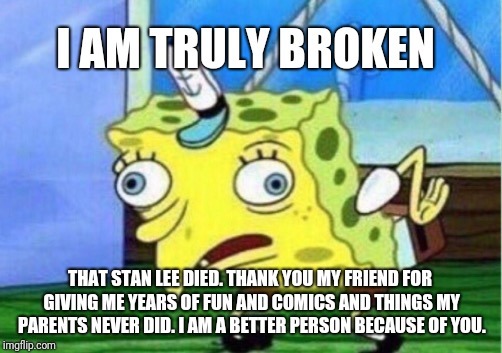 I AM TRULY BROKEN; THAT STAN LEE DIED. THANK YOU MY FRIEND FOR GIVING ME YEARS OF FUN AND COMICS AND THINGS MY PARENTS NEVER DID. I AM A BETTER PERSON BECAUSE OF YOU.